Uemura Akari promoting "Potsuri to"
Uemura Akari (植村あかり) is a Japanese pop singer under Hello! Project as a member of Juice=Juice. She is also a former member of the SATOYAMA movement unit Sato no Akari. She was first introduced at the Hello Pro Kenshuusei Happyoukai 2012 ~3gatsu no Nama Tamago Show!~ as a member of Hello Pro Kenshuusei. Uemura Akari was born on December 30, 1998 in Osaka, Japan. 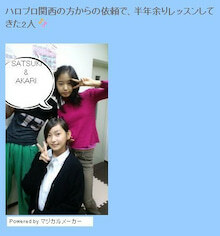 Around May 2011, Uemura and Miwa Satsuki joined Hello Pro Kansai as trainees. They received six months of free training and had their final dance lesson on October 16, 2011. In January, Uemura joined Hello Pro Kenshuusei alongside Kosuga Fuyuka. The goal of Hello Pro Kenshuusei is to prepare young girls for their debut into full idols, in the program, Uemura received vocal and dance training. She was later introduced as a member on March 31 in the Hello Pro Kenshuusei Happyoukai 2012 ~3gatsu no Nama Tamago Show!~ alongside Kosuga, Murota Mizuki and Okamura Rise. She performed Go Girl ~Koi no Victory~, Chokkan 2 ~Nogashita Sakana wa Ookiizo!~, JUMP and Pyocopyoco Ultra. She then participated in the Morning Musume 11th Generation ~Suppin Utahime~ Audition alongside several other members of Hello Pro Kenshuusei, but failed. On February 3, during the Bravo! concert in Fukuoka, it was announced that she would be debuting in a new unit, Juice=Juice, alongside Miyamoto Karin, Kanazawa Tomoko, Miyazaki Yuka, Takagi Sayuki and Otsuka Aina. On February 12, Hello! Project Fanclub News announced that Uemura will be participating in a stageplay titled Moshimo Kokumin ga Shusho o Erandara along with Takahashi Ai, Ishikawa Rika, Wada Ayaka, Fukuda Kanon, and Miyamoto Karin. There will be 11 showings and it will run from April 24th through the 30th. On March 31, Uemura fell ill with the flu and was unable to participate in the Hello Pro Kenshuusei Happyoukai 2013 ~3gatsu no Nama Tamago Show!~. On July 20, Uemura appeared solo in Photo Technic Digital. On December 17, Uemura and Miyamoto Karin had a birthday FC event called, Juice=Juice Miyamoto Karin, Uemura Akari Birthday Event 2013, at Tokyo FM Hall. On March 13, it was announced that Uemura would be a member of a newly formed SATOYAMA movement unit called Sato no Akari. On December 11, Uemura and Miyamoto Karin had a birthday FC event called, Juice=Juice ~Miyamoto Karin & Uemura Akari Birthday Event 2014~, at Differ Ariake. On September 19, Uemura's first solo photobook was announced, titled AKARI. It was released on October 29. On December 16, Uemura released her first solo image Blu-ray, Akari. On December 28, Uemura celebrated her 17th birthday. The special event was called Juice=Juice Uemura Akari Birthday Event 2015, the event featured two performances at Yamano Hall. On July 25, Uemura released her second solo photobook, titled AKARI II. On August 17, she released her second solo image Blu-ray, titled Take It Early. On December 30, Uemura celebrated her 18th birthday at a special event titled Juice=Juice Uemura Akari Birthday Event 2016, which featured two performances at the Shinagawa Intercity Hall. On December 7, Uemura celebrated her 19th birthday at a fanclub event titled Juice=Juice Uemura Akari Birthday Event 2017, which featured two shows at CLUB CITTA'. On May 27, the Fami Hello! PHOTOBOOK was released, including Uemura's gravure that was originally published in an April 2015 issue of Weekly Famitsu. On August 16, the music video for Horiuchi Takao's August 22 single "Minna Shounen Datta" was uploaded on YouTube, featuring Uemura and six other Hello! Project members who all sing as chorus. On December 8, she celebrated her 20th birthday in a fanclub event titled Juice=Juice Uemura Akari Birthday Event 2018 at Yamano Hall. On January 9, she released her third solo photobook, titled AKARI III. She was raised as an only child. When her father had her, he was 18 years old. Uemura has a pet bird named Happy, she previously owned another bird named Toppy, but it escaped and flew away. 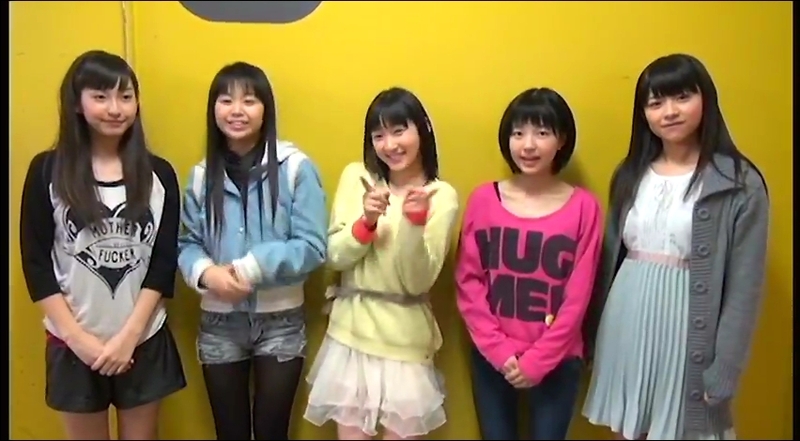 When Uemura debuted as a member of Juice=Juice in February 2013, she was a second year middle school student. She graduated from high school on March 8, 2017. Uemura gets along best with Kanazawa Tomoko. Uemura's given name, Akari, means "light" (あかり) as her parents wanted her to walk along a bright path. Aarii (あーりー): Official nickname, given her since joining Hello Pro Kenshuusei. Used by members and fans. Uemuu (うえむー): Kanazawa Tomoko nicknamed her Uemuu. Takagi Sayuki also uses it. Favorite Hello! Project Songs: "SHINES", "Aa, Yo ga Akeru"
She wants to use her Kansai dialect in talks and MCs. If she could join another group for a day, she'd join Country Girls. She says the source of her energy is talking to people. When she first joined Hello Pro Kenshuusei, she had difficulty holding a microphone while dancing. On a rainy day she would watch TV at home alone, or sing the song Dot Bikini by S/mileage. She participated in Morning Musume's 9th and 10th generation auditions. 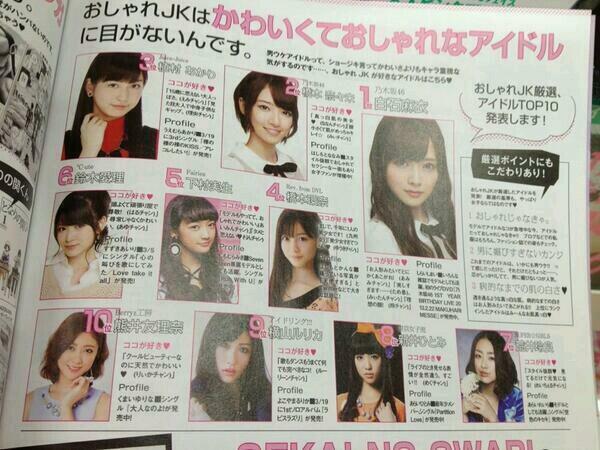 When asked what group she'd like to debut in, she answered Morning Musume. Tsunku commented on her: "She made it until the 3rd round of Morning Musume's 9th gen audition. She's still a novice in dancing and singing but that part also makes me smile. I'm expecting great things from her personality." Takagi Sayuki has said that Uemura is worthy to be leader of Juice=Juice. According to Otsuka Aina, Uemura always makes everyone smile, and is the mood-maker in Juice=Juice. She'd like to have a pet dog. She is a fan of the rock band Sekai no Owari. She wants to become a dancer like Sayashi Riho, and would like to switch places with her. Has expressed her love for Sayashi Riho many times. On a T-shirt, she wrote that "AKARI" stood for "Acquire Kind Achieve Recollect Idea". There was a YouTube video of Juice=Juice that was taken down shortly after uploading because Uemura had an inappropriate English word written on her shirt. It has been said that she has the best eyesight in Juice=Juice. When the Juice=Juice members were told about their Romance no Tochuu success, Uemura was smiling while the other members were crying. She does not like melons, despite it being her image fruit. Uemura and Oda Sakura used to go out to eat ramen together with Hamaura Ayano when they were all Kenshuusei. People often say she’s an airhead, but among the members of Juice=Juice there’s a suspicion that she’s not an airhead, but is actually just careless. It has been said that she resembles her mother. After her relationship with somebody reaches a certain depth, she doesn’t like using “~chan” and she’ll give strange nicknames. ↑ "ダンスレッスン♪" (in Japanese). Nishikawa Yukimi Official Blog. 2011-10-17. ↑ "植村 あかり(ウエムラ アカリ)" (in Japanese). Hello! Project. ↑ "ハロプロ研修生内、新ユニット結成のお知らせ。" (in Japanese). Hello! Project. 2013-02-03. ↑ "堀内孝雄『みんな少年だった』(Takao Horiuchi [Everyone was once a boy. ])(MV)" (in Japanese). UP-FRONT Channel (via YouTube). 2018-08-16. ↑ "植村あかり(Juice=Juice)サード写真集「AKARI Ⅲ」発売決定！！" (in Japanese). Hello! Project. 2018-11-27. ↑ "今日… 植村あかり" (in Japanese). Juice=Juice Official Blog. 2017-03-08. ↑ Uemura Akari. "うえむ様 高木紗友希" (in Japanese). Juice=Juice Official Blog. 2014-02-10. ↑ "Pocket Morning Juice=Juice Weekly Q&A (11/4/2013)". Hello!Online. 2013.11.04. ↑ "くぅーANDみぃー… 植村あかり". Juice=Juice Official Ameba Blog. 2014.04.10. 1. Watashi ga Iu Mae ni Dakishimenakya ne | 2. Samidare Bijo ga Samidareru | 3. Ten Made Nobore!